Drive Ahead is a game where your goal is to destroy your opponents, before they destroy you. 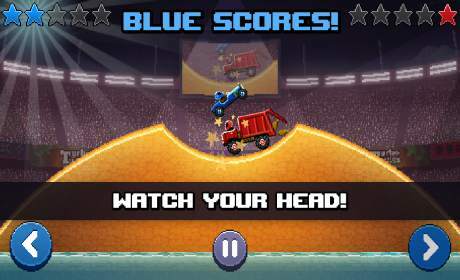 Drive ahead in gladiator arenas with off-road cars, garbage trucks and F1 racing cars. Each vehicle has its own strengths and weaknesses. 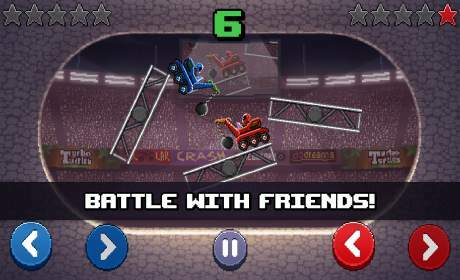 The game features two different game modes: duel or single-player mode. Learn to master different tracks and vehicles in daily racing missions. Customize your battles or choose random mode for surprising arenas and duels. Can you beat a monster truck with a go-kart? Hiding won’t help! 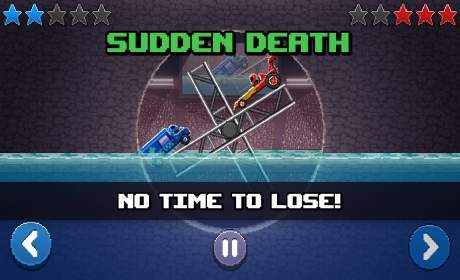 Sudden death mode introduces sawblades, rain of fire and floods of water. The only way to survive is by attacking! Collect virtual credits to unlock tons of cars and loads of arenas as you play! You get free coins by playing a lot and watching ads. Use them in the casino slot machine to win new content. You can play this game for free as long as you want. However, we also offer credits packs as in-app purchases.